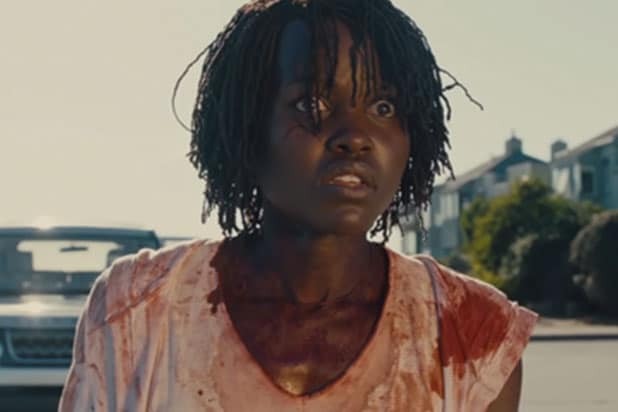 Jordan Peele’s “Us” will be the opening night film at the 2019 SXSW Film Festival, South by Southwest Conference and Festivals announced on Tuesday. The thriller will have its world premiere on March 8 in Austin, Texas. It’s Peele’s follow-up to his 2017 directorial debut “Get Out,” a breakout hit that earned him an Academy Award for Best Original Screenplay. “Us” stars Lupita Nyong’o and fellow “Black Panther” star Winston Duke as a married couple who take a trip to a Northern California summer beach home along with their children, and meet another couple portrayed by Elisabeth Moss and comedian Tim Heidecker. Nyong’o slowly becomes paranoid about her children’s safety, and as she becomes more concerned, they witness four figures in red suits holding hands at the end of their driveway. Those figures aren’t just anyone, but exact replicas of themselves. Peele, who wrote and directed the film, also produces for his Monkeypaw Productions banner, alongside Monkeypaw creative director Ian Cooper. Sean McKittrick and Jason Blum are also producing. “Us” opens in theaters on March 15, 2019. SXSW will release its full feature slate on January 16. This year’s festival will take place from March 8 to March 17. Spike Lee became only the sixth black director to receive an Oscar nomination in the Academy's history for his work on "BlackKklansman." 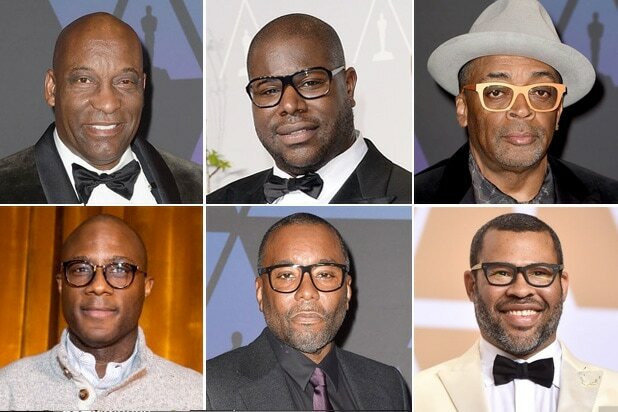 But so far, no black filmmaker has won in that category. John Singleton, "Boyz N the Hood" (1991) • Two years after Spike Lee was passed over for a nomination for "Do the Right Thing," John Singleton became the first African American to earn a Best Director nomination for his star-studded drama set in South Central L.A. That year, Jonathan Demme won the award for "The Silence of the Lambs." Lee Daniels, "Precious" (2009) • Eighteen years passed before a second African American filmmaker was recognized: Lee Daniels, for his gritty portrait of a young woman seeking to overcome a childhood of poverty and abuse. In another Oscar first, Kathryn Bigelow became the first female director to win the Oscar, for "The Hurt Locker." Steve McQueen, "12 Years a Slave" (2013) • British director Steve McQueen gritty drama about American slavery picked up nine nominations, including one for his directing. While the film won Best Picture (and McQueen earned a statuette as a producer), he lost the directing prize to "Gravity" filmmaker Alfonso Cuarón. Jordan Peele, "Get Out" (2017) • Peele became the latest actor-turned-filmmaker to earn a Best Director nod, for his feature filmmaking debut. Peele won an Oscar for his original screenplay but Guillermo del Toro won Best Director for "The Shape of Water." Spike Lee, "BlackKklansman" (2018) • Despite wide acclaim for such films as 1989's "Do the Right Thing" and 1992's "Malcolm X," the pioneering filmmaker earned his first nomination decades into his career for this fact-based tale of a black undercover cop who infiltrated the Ku Klux Klan. TheWrap covers all the happenings in Austin.